We Aesteiron Steels Pvt Ltd, are one of the Leading, manufactures & suppliers of Socket Weld Flanges. 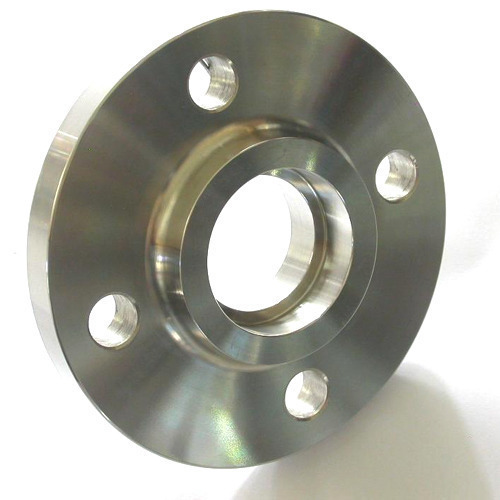 Socket welding flange, a popular type of pipe flange, was initially developed for use on small-sized high- pressure piping. The fabrication of this type of flange is similar to that of a slip-on flange. However, the internal pocket of a socket weld flange allows for a smooth bore and better fluid flow. When provided with an internal weld, the static strength of this flange is equal to slip-on flange, but the fatigue strength is 50% greater than double welding slip-on flanges. Smooth bore conditions in such a flange can easily be attained without having to bevel the flange face and, after welding, to reface the socket weld flange as would be required with slip-on flanges. For this reason, the internally welded flange is popular in chemical process piping. Key Features:The recess on the inside diameter of the socket weld flange allows for a good fit of the pipe allowing for a smooth flow of liquid. Socket welding flanges work well for smaller sizes and higher pressure temperature conditions. They are similar to slip-on flanges, but must specify the schedule of the pipe where they will be used for with socket welds. Valued and appreciated among our clients for trading and supplying a wide range of Ferrous & Non Ferrous Products, an ISO 9001: 2008 certified Aesteiron Steels Private Limited started its operations in the year 2007. Inclusive of Stainless Steel Sheets, Stainless Steel Plates and Stainless Steel Coils, we offer high grade steel products. To ensure high standards of quality, the offered stainless steel sheets and plates are procured from trusted and reliable vendors of the China. Owing to their resistance against corrosion & abrasion, smooth edges, high tensile strength, durable construction, these stainless steel products are highly demanded in the market.